Work Flow｜Japan Electric Power Service Co., Ltd. Please contact us anytime by telephone or e-mail. We would like to visit you after we confirm your demands and requests. A professional engineer will investigate the site to extract proper proposal and to calculate proper cost (quote). We will submit our proposal and price quote. And, if you judge it is reasonable, then move on to contracting. Electric facilities are composed of small parts. Therefore, we will do an in-depth scrutiny to determine whether our materials fit the site’s facilities. Also, we will examine the facilities’ condition and the system environment. We will design and arrange the most suitable machinery and materials based on data obtained from in-depth scrutiny. We submit the execution plan which includes construction outline and procedure, operation contents, a worker list, a safety management item and inspection process. We pay attention to following points, while working at the site. Curing is done thoroughly before operation so as not to dirty or damage our customers' facilities. Multi-Checking (e.g. double-check) is always done by multiple people after each process in order to improve precision and quality. Completion check is done by multiple people to please our customers with a fine operation. We submit the report with inspection results and photo of the site will be submitted. We submit the completion book with files of construction contents and record, photo at construction, manual of machineries, warranty note, etc. 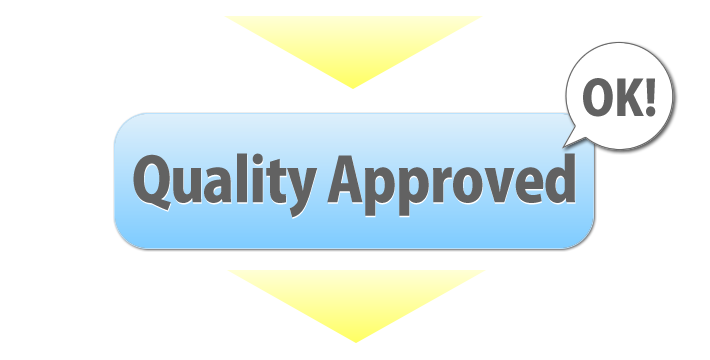 We will also submit a certificate of the manufacturer guarantee and a certificate of our original guarantee. A lifetime guarantee of malfunction caused by construction quality such as construction mistake. We complete our project by issuing invoice.